‘Dark Waves – Massive Deep House Presets’ will be your faithful companion on a deep sea voyage you won’t forget in a hurry! ModeAudio takes you by the hand and dives deeper and deeper beneath the surface of the ocean to bring you this collection of 50 sublimely subaquatic sounds for Massive, alongside 50 MIDI loops. From brooding, moody chords, bubbling percussion synths, floating pads and shimmering SFX to the thickest, deepest sub bass presets Massive can muster, this sound pack plumbs the depths as well as looking back up to the glimmering shafts of light reaching down from the waves above. There’s no need to hold your breath as you’ll find this preset pack gives you the ability to breath underwater, allowing you to enjoy the sound of each rising bubble, the yawn of every wave and the grumble of creatures lurking in the deep to your heart’s content. Diversity is a central element of this pack, covering uplifting House synths, bubbling sub basses, dark percussive plucks, floating pads and beyond. ‘Dark Waves’ also includes 50 MIDI loops covering synth, chord, pad, bass and SFX patterns, giving your musical vessel the ability to float along the surface as well as sink to the very bed of the ocean. All 8 macro controls have been assigned for every single preset, giving you full control and flexibility over how you want to shape your sound. Oscillator wavetable positions, filter cut-offs, FX amounts and more have all been harnessed to bring each of these sounds fully to life. 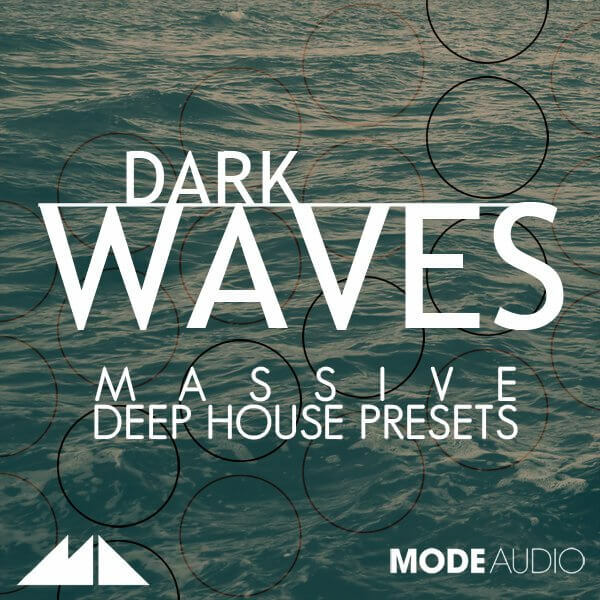 Let the waves lap over you and swim down to the heart of your music – ‘Dark Waves – Massive Deep House Presets’ will reveal the pearls waiting within!